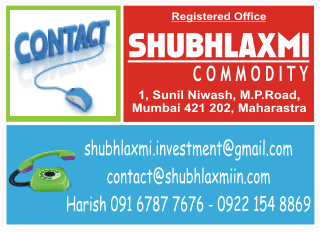 In case of MCX Nickel the short as well as the medium term trend is down. Nickel is falling in a channelised manner and has recently started a fresh move down. In the last session it formed a bearish outside bar. The base metal is facing pressure from the 20 day moving average (DMA; Rs929) and the 40 day exponential moving average (DEMA; (Rs940.6). The daily momentum indicator is ready for its next cycle down, whereas the weekly momentum indicator is already in a down cycle. The equality target on the downside is Rs886 whereas from a medium term perspective the low of Rs845.3 will be on the radar. A tight reversal can be placed above the high of Rs935.2.